Autograph Document Signed Benjamin Gray, 1pp. oblong octavo, Boston, February 12, 1765, and reads “Recd of Mr. Eleazer Lake Const. 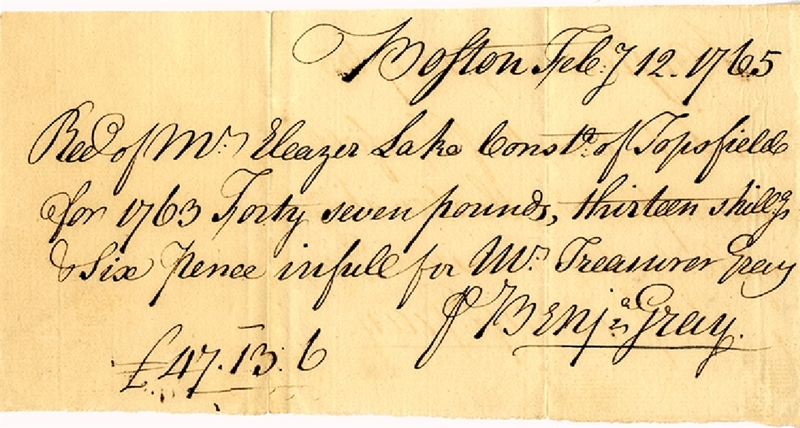 of Topsfield for 1763 Forty seven pounds, thirteen shillg. & six pence.” Fine condition.